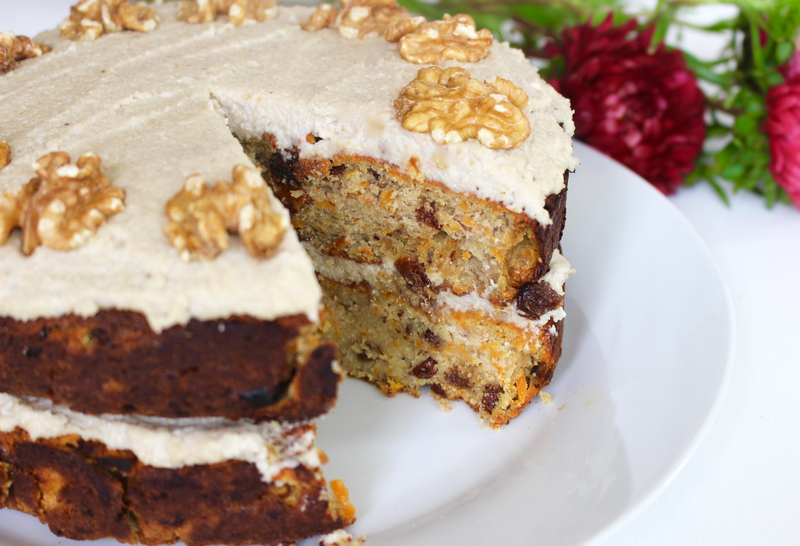 Carrot cake was always one of my favourite cakes; the texture, flavours and spices are so mouth waveringly delicious! 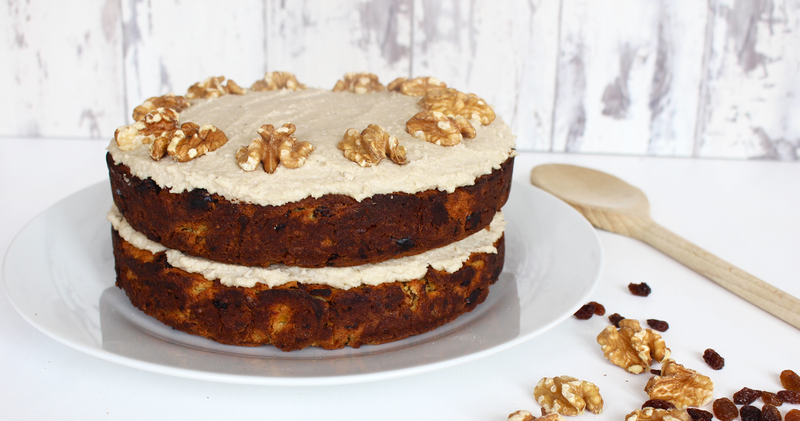 I wanted to create a healthy, gluten free, vegan carrot cake that still tasted just as scrumptious but without the harmful ingredients so that's what I've done! This recipe is one of my favourites yet and it's surprisingly easy too. 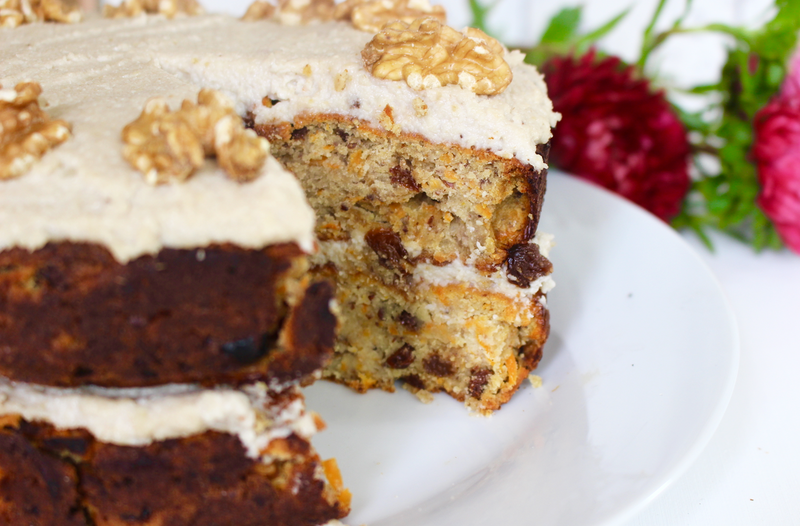 I love a moist carrot cake with lots of flavour and a soft texture, as well as that all important creamy icing! 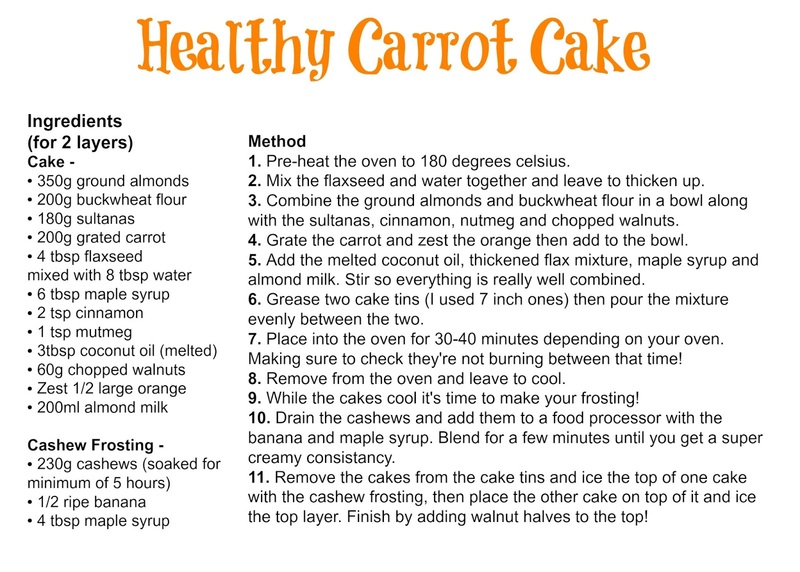 My healthy carrot cake doesn't disappoint in any aspect and each bite just melts in your mouth and leaves you wanting more. You'd think creating a carrot cake this good would require expensive or hard to source ingredients but no, the ingredients are far more simple than you may think and inexpensive too. I used a mixture of buckwheat flour and ground almonds for the flour mixture which works so well to create that cakey consistency without it being heavy or too dry. I bought the large 1kg bag of ground almonds from Grape Tree which is the best if you're into healthy baking! I then added juicy sultanas, walnut pieces, orange zest, maple syrup and coconut oil to the mixture along with flaxseed to bind everything together and almond milk for the liquid. The icing is made purely from pre-soaked cashews, banana and maple syrup - simple yet perfect. Of course I decorated with additional walnuts for an added crunch on top. Make an order at Grape Tree now with free delivery on orders over £35 or find your nearest store here! This blog post was sponsored by Grape Tree but all opinions remain my own, as always.